We are all too familiar with those pesky blackheads that just do not seem to go away. We tend to extract them, but sooner or later, they just fill up again. So, what is the problem? Most probably, it is the fact that you do not have the best blackhead remover in your arsenal. Having a tool instead of using your fingers is a step further in getting rid of blackheads. At the same time, the use of a device such as this can also help not to aggravate your already clogged pores. 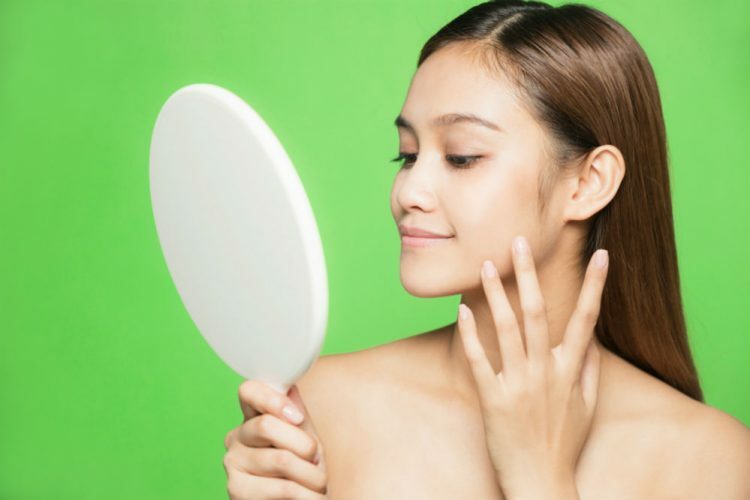 Today, we are going to take a look at three blackhead removers. We will talk about their features as well as the pros and cons of using them. In the process, we will be able to tell which is the best one. Are you ready to have a face that is free from blackheads? Then keep on reading! This product claims to remove impurities, dust particles, and oil in your clogged pores. At the same time, it can also be used to remove grease, acne, and blackheads. What this does is improve the elasticity of the skin as well as the blood circulation. As a result, you might just find yourself with fewer wrinkles, smaller pores, tighter skin, less fine lines, and exceptionally radiant skin. How does it do this? Let’s find out by looking at its features. There are three settings in which you can adjust the suction power of this blackhead remover. This is very beneficial because different areas of the skin need to be treated with different intensities. Using the low setting is best for those who have sensitive skin, while the medium setting can be used on small blackheads. Lastly, the high setting is for big pores and blackheads. Furthermore, this device comes with four heads to choose from. The first one is a large, circular head, which is excellent for strong suction. The small circular hole head can be used for those who have sensitive skin. There is also an oval head, which will work great for blackhead removal on the nose. Finally, the microcrystalline head can be used for exfoliation. This blackhead remover does not require batteries to work because it is rechargeable. In order for you to recharge it, you just need to recharge the lithium battery that has a 1000 mAh capacity. Accordingly, this can be charged via USB cable. Moving on to the next product, this time, we have a very powerful suction. Therefore, it will be so great for deep cleansing your face. According to the tests that the brand did, this can effectively remove blackheads, dead skin, grease, whiteheads, and even makeup residue. The result of this is to smooth out the wrinkles and also tighten the skin in just two to five weeks. What’s more is that this device is suitable to be used on a lot of skin types. All in all, there are five levels for the suction. Level one is recommended for those who have dry and sensitive skin. Level two to three are for those who have neutral skin. Level four to five are for those who have oily and combination skin. Similar to the first blackhead remover we reviewed, this one also has four suction heads, which can serve different purposes and can be specifically used for a specific part of the face. This is also rechargeable as it has a 1000 mAh lithium battery. A single charge will give you a total of 150 hours of non-stop use. It also has an LED screen that shows you the level that you are using as well as the current state of the battery. Moreover, it is made of reliable and high-quality ABS material. This material is non-toxic, which means that it is not harmful to the skin. Lastly, it also has a compact design, making it easy to take with you wherever you please. 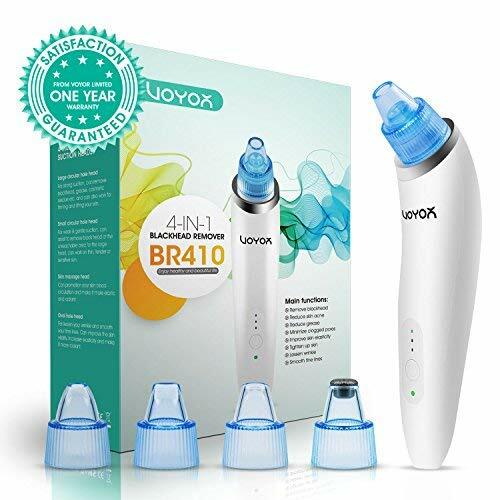 The last blackhead removal device that we are going to talk about looks the most aesthetically pleasing out of all the contenders, but let us see if it can perform as good as it looks. Just like the others, it claims to remove impurities, oil, and dust, which tend to clog the pores. Also, it can get rid of grease, acne, and blackheads. The use of this device can promote better blood circulation and increase the elasticity of the skin. It can also exfoliate dead skin, lessen wrinkles, tighten loose skin, smoothen fine lines, shrink pores, and just make your skin look radiant. This blackhead remover comes with four heads. The circular hole head is for strong suction, while the small one is for gentle suction. There is an exfoliation head and an oval head too, which will be great for the removal of blackheads on the nose. As for the strength of the suction, there are three settings, which range from low to high. Lastly, just like the others, it can also be recharged with the use of a USB cable. For us, the best blackhead remover is the one from VOYOR. We chose this one because, out of all the three, this does what it is meant to do, which is to remove blackheads. Having fewer wrinkles and acne is terrific, but when your main concern is the removal of blackheads, this will definitely be your best friend. Just take extra care after using this product as this tends to deliver a bit of redness to your skin. Of course, it is nothing a little wash and moisturizer cannot fix. Definitely, you are well on the road to a blackhead-free face.